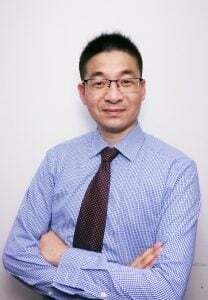 Dr. Dong is an Instructor of Neurology at Harvard Medical School and a faculty in Neurology at the Ann Romney Center for Neurological Disease at Brigham and Women’s Hospital. Since 2016, he has served as the Director of Computational Neuroscience of the Parkinson Personalized Medicine (PPM) Program there. He received his BSc and MSc degree from Southeast University, China and his PhD degree from the University of Bergen, Norway. He continued his post-doctoral training at the University of Massachusetts Medical School. Dr. Dong’s research interest is to use both computational and experimental methods to understand how the human genome was regulated in the brains of healthy people and patients with neurodegeneration diseases. Clinical trial failure rates, including those for Parkinson’s disease (PD), are extremely high. The increasing number of failures due to lack of efficacy indicates that the current preclinical pipeline is failing to correctly identify good drug targets. Drug targets that are clearly linked to genetic disease appear more likely to succeed in clinical trials than targets that lack a proven genetic link. A recent large-scale genome-wide association study (GWAS) has identified a list of disease-associated genetic variants for PD. However, the drug target is unknown. Multiple genes are localized under each risk locus and most of the disease-associated variants do not alter protein sequence — they are non-coding, localized in intronic or intergenic regions. So, finding the causal variants and their functional consequences in vulnerable dopamine neurons is critical to translating this breakthrough in genetics into novel medications for PD. In this proposal, Dr. Dong’s team will identify the putative causal variant and regulated genes in a PD GWAS locus on chromosome 17q21 specifically in dopamine neurons using fine-mapping expression Quantitative Trait Locus (eQTL) analysis. In addition, they will begin to evaluate the effect of the putative causal variant in iPSC-derived dopamine neurons.